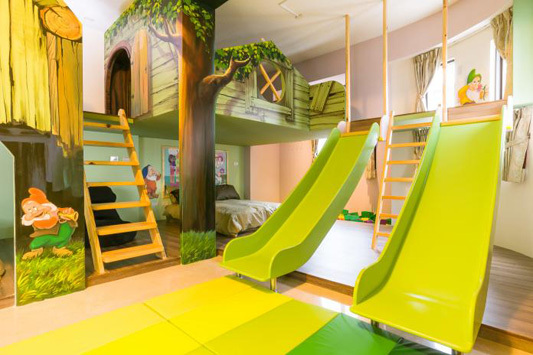 As I was telling my friend that we will be travelling to Taiwan in end of the year, she shared with me the homestay (民宿 minsu) she stayed in Taiwan during her recent trip - family room with slide! It looked so interesting! 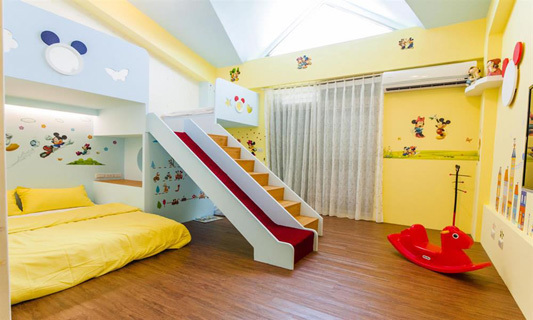 Immediately, I started my research on Taiwan child-friendly accommodation with slides. 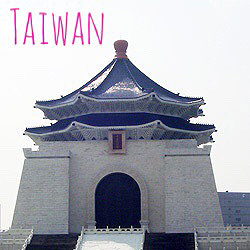 I decided to document my findings for our upcoming Taiwan trip, and hope my findings would be useful to those who are planning for a trip to Taiwan with children! 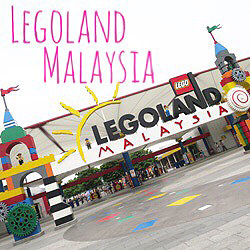 We have not stayed in any of the accommodation mentioned in this blog post except Nature House, the findings are based on what I read from the official websites, Facebook pages, many Taiwanese blogs, travel books, as well as information given by the owners when I contacted them for inquiry. And this is not a sponsored post! The rate is correct as of September 2015. 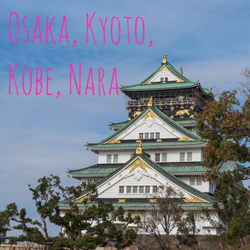 The range in the rate is due to the date of check-in (cheaper from Sunday to Thursday excluding public holidays), and rooms that accommodate more people would be more expensive. 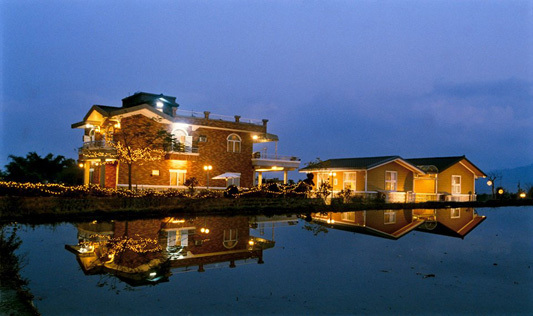 During my research, most of the accommodation with slides are located in Yilan. Not sure is it because of competitions that many owners introduce slides to attract families with children. Facilities in room: Wi-fi, TV, air-conditioner, bath tub. 小小運動家 (Sports Fun) room has mini refrigerator and water dispenser. 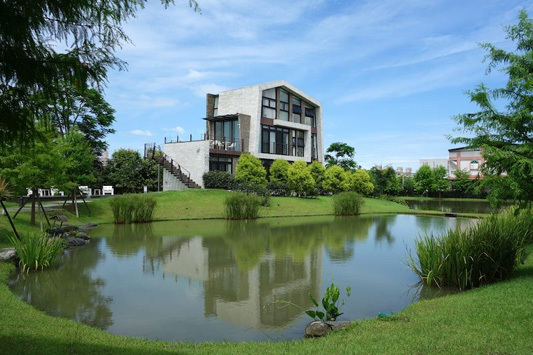 The surrounding looks like a great place to relax - two small ponds and greenery! 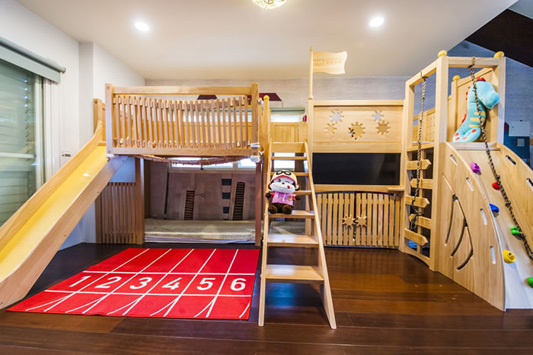 There are 4 types of family rooms, and I fell in love with the 小小運動家 (Sports Fun) room - there is a twist slide that is so unique! 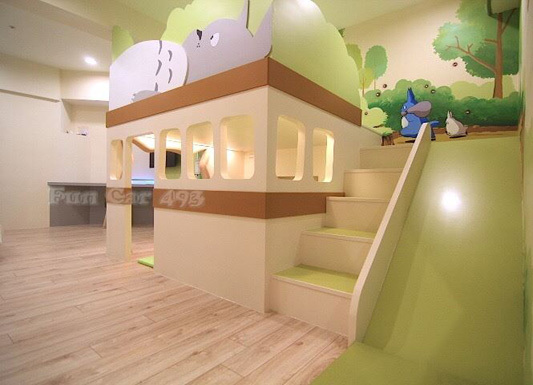 Look at the slide in 小小運動家 (Sports Fun) room! 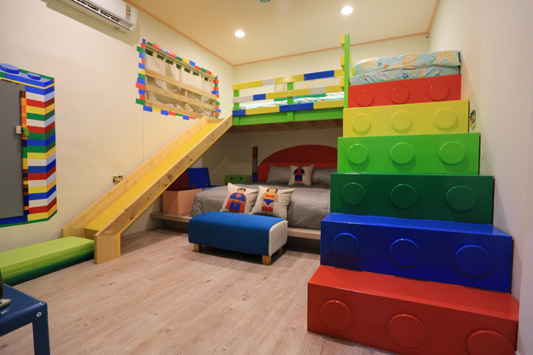 For children who love LEGO, this 樂高城堡 room would keep them busy the whole day - LEGO bricks are provided in this room! I contacted the owner for inquiry, and was informed that the nearest train station is 羅東 (Luodong), which is about 3 km away, the taxi fare from train station is about NT150. There are some eateries nearby, including "menu-less" cuisine (無菜單料理) restaurants like 客人城 (Guest City, price about NT600 /pax) and 曙光 (Price from NT800 /pax). 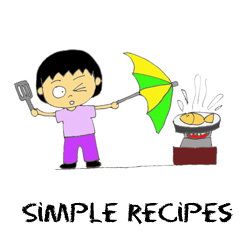 Oh, what is "menu-less" cuisine? It is similar to Japanese Omakase, in which the dishes are selected by the chef. Another place for dinner would be Luodong Night Market which is 3 km away. Luodong Sports Park is about 1 km away, according to what I read from their Facebook page, the owners can lend visitors the bicycles. They have online reservation, with the calendar showing availability and price. In August, I looked at the availability in November and December, these rooms are already booked on almost all weekends! That is how popular this accommodation is! The only thing that makes me think twice is the price. 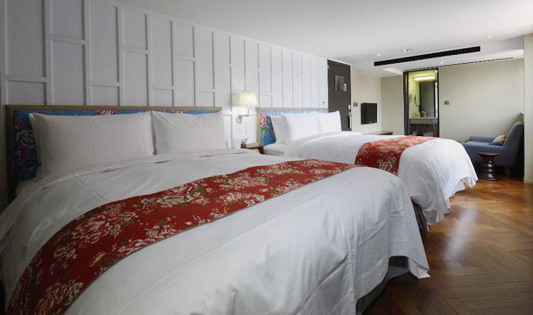 It is not cheap - from NT5600 (about SGD 250) per room per night! 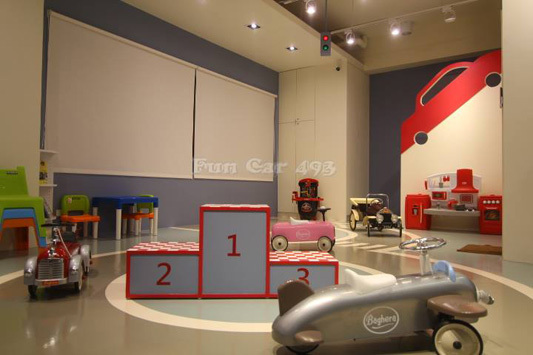 My children would love the small outdoor play area with scooters and cars! There is a swing in 奇幻世界 room! 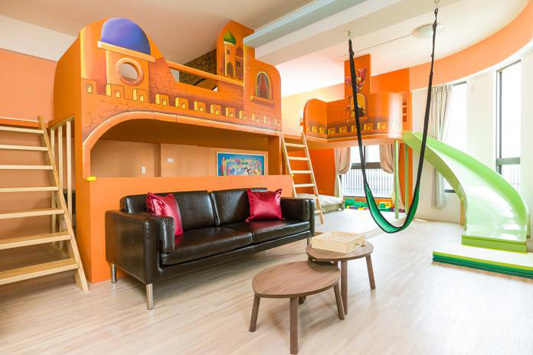 The swing in 仙杜瑞拉 room is more suitable for toddlers and babies. 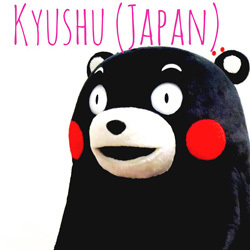 Based on their website, the owner offers transportation between 冬山 (Dongshan) Train Station and her place. When I contacted the owner for inquiry, I was informed that there are some eateries nearby. 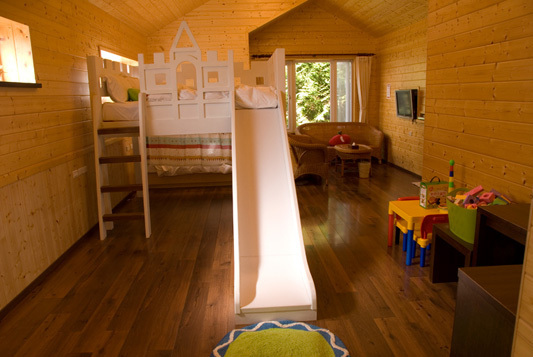 There are 5 family rooms with slides. One interesting feature of the room is that your can see the padi field while you are relaxing in the bath tub! 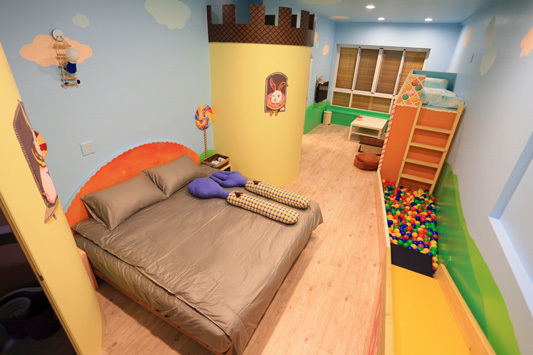 幸福熱氣球 room has a swing that the children would love! 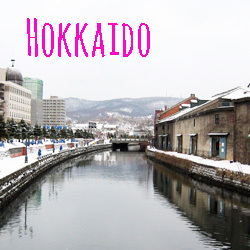 The owner has two blocks of home-stay. 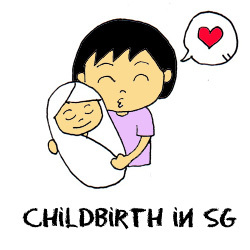 Families with more people may consider this place as it offers rooms that can accommodate 6 to 8 people. 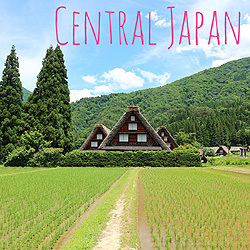 If you are a fan of Totoro, then you would like this! 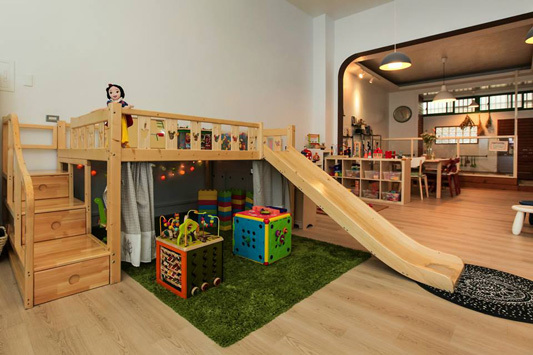 The children would be thrilled before they enter the room - there is a play area with slide and ball pool in the common area! The exterior of this accommodation looks just like usual residential building, so it is really like a typical Taiwanese home. 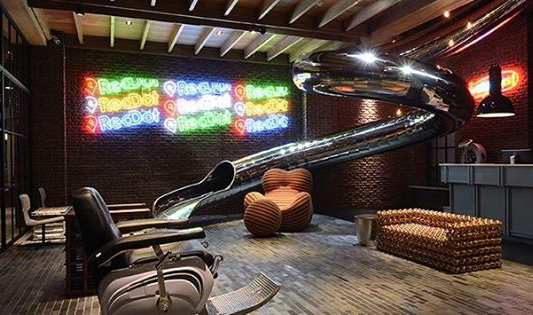 The slide is located at the lobby, not in the room. It looks so fun that I also want to try! It is interesting that the rooms are named XS to LL! For a family of 4 like us, we would have to get LL room, which is 4-person room with 2 double beds. One plus point about this hotel is that it is located near Zhonghua Night Market (中華路夜市), so it is very convenient to grab a bite! 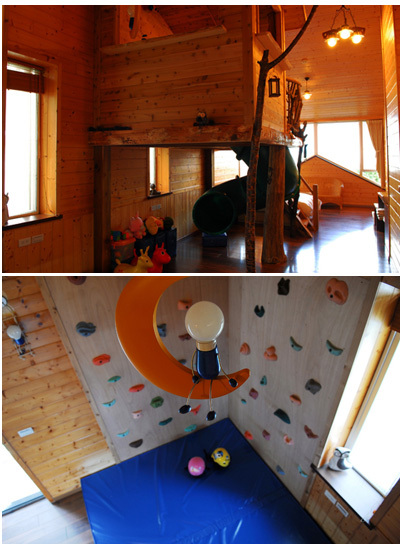 This is the accommodation that my friend stayed recently, and her children enjoyed the stay very much! 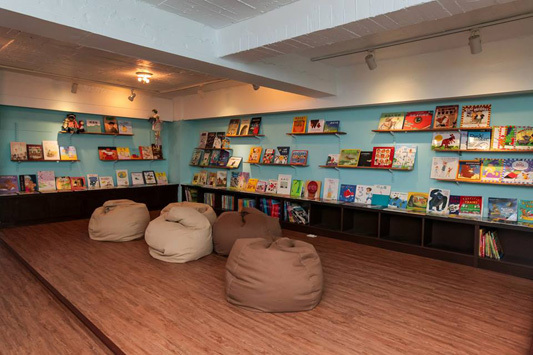 When I read up the website, I found another room that is also very interesting - a tree house in the room! Other than the tree house with slide, there is also a rock-climbing corner! Actually I wanted to add Cingjing to my itinerary just because of this accommodation! However, after I read some other Taiwanese blogs, the weather at Cingjing during end of the year is quite cold, and this accommodation does not have air-conditioner to regulate the room temperature. Even though the owner provides electric blanket, I am worried that my children would catch a cold as they like to kick away the blanket! 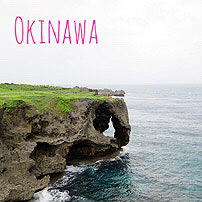 Perhaps I would visit there during summer. This accommodation is very popular. In August, I looked at the availability in November and December, these two rooms are already booked on most days! Some of you may have heard of Deely House, which is so popular that you have to book way in advance. 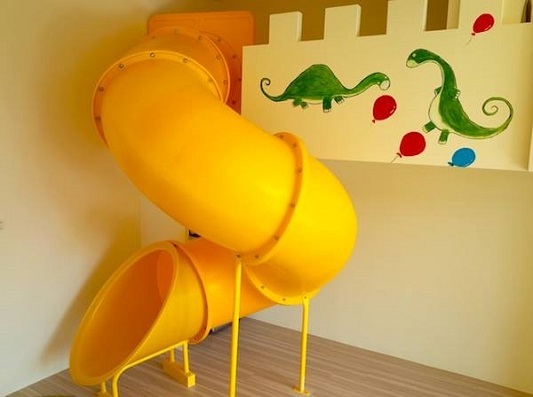 It has a number of rooms with slides. In particular, 白雪公主 room has double slides! 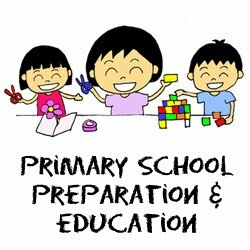 When I saw the play area on Google Maps, I was in awe - slide, sand play area, toys, art and craft materials, and a library of books! The play area is open to public with a fee, but from your check-in time to check-out time, the whole play area is yours! 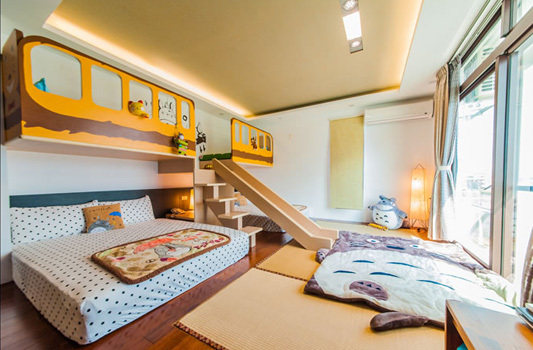 The bedroom is in Japanese style, with mattresses on the floor. By the way, there is one and only one room available for booking! It looks like an obstacle course to me! The children would love the pool of balls! 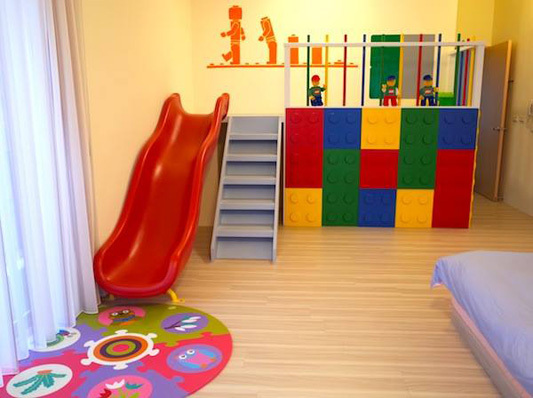 A room that LEGO fans would love! If you are travelling with big group of 4 adults and 4 children, you can consider booking 童莊安平館 - whole house with 2 family rooms. A mum blogger friend from Meeingfully shared with me this accommodation that she is going to visit. The common area is simple a playground! There are toy cars, which my children would love! 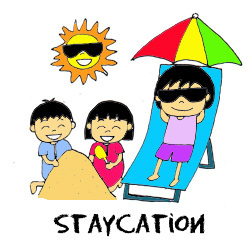 You can book through Agoda - search for "Fun Car Guest House". This saves the hassle of paying deposit and then pay the remaining amount in cash like some other accommodations do. 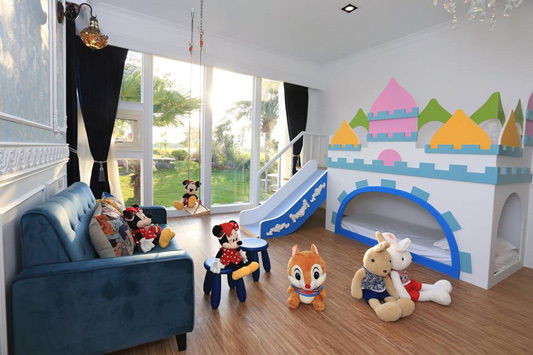 There are 2 family rooms, one room is Mickey House ("Family Quad" on Agoda), and the other one is Totoro Room ("Superior Family" on Agoda). It looks like Totoro bus! 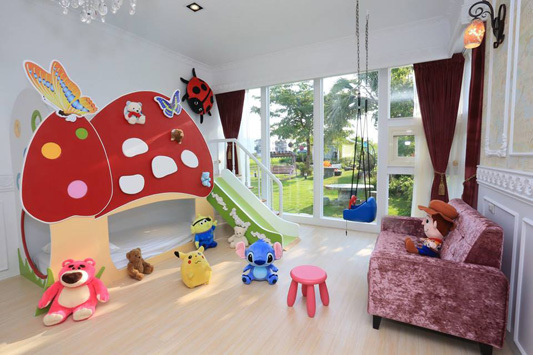 There are slide and sand play area in the common area, but the children do not need to be dragged into the room, because there are even more interesting things inside the room! 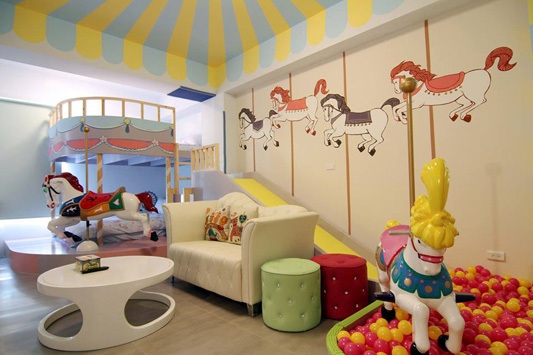 One of the rooms is 旋轉木馬親子4人房, and there are really "horses" for the children to ride! 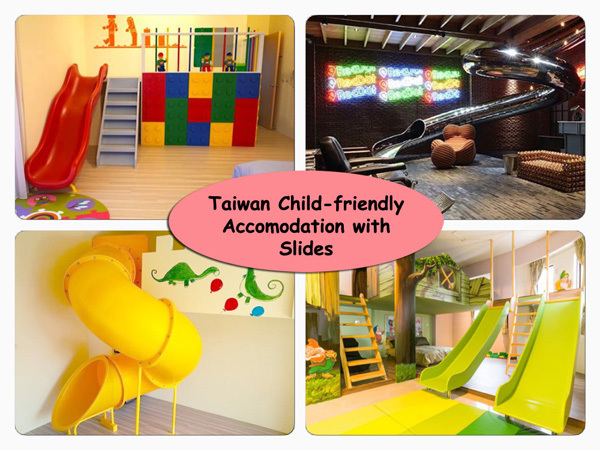 Do you know of other child-friendly accommodation with slides in Taiwan? Do share with us! Kids would love these minsus with slides! Not only children love those places, I love those too! Thank you for doing the groundwork! Such a convenient list for me to choose an accommodation when it's my turn to go! 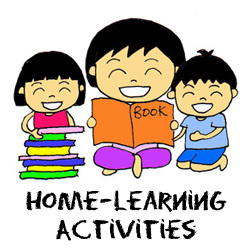 Hope this compilation will be useful to you! I should have stayed in 黃慶果園民宿 during my trip to Cingjing. 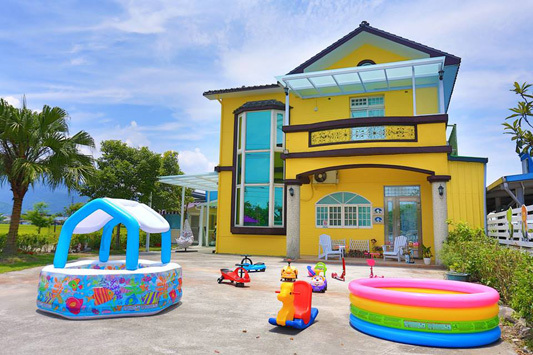 My personal favorite is 迪利小屋 Deely House, nice greenery stay. Thanks for sharing this information. Sorry to hear that. 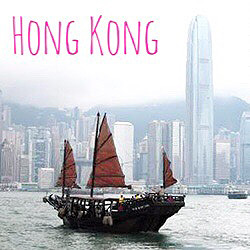 Will share more on the blog after our trip, and hope the information will be useful for your next trip. 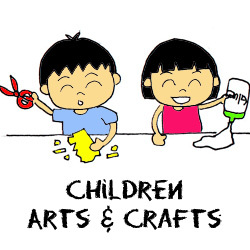 Oh my gosh, your list of child friendly hotels in Taiwan is superb! I shall check back here the next time I'm headed to Taiwan. 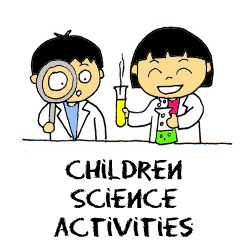 Other than slides, there are many other different themes. 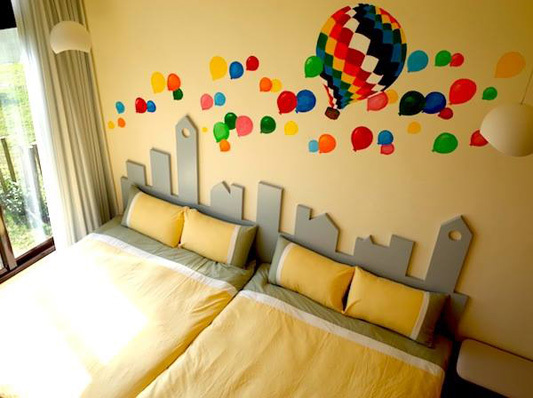 May i know if there are any such accommodation in taipei? We could not find any in Taipei by end of last year. Not sure if there is any now.